You finally came up with an awesome affiliate offer… Boom, get it out there to your audience! But how do you succeed as an affiliate marketer? Know how to present an affiliate offer and implement the ONE trick to achieve affiliate marketing success and you win. Choose the presentation method that works best for your DNA, get this trick right and you my friend are on the other side of getting by, to thriving with affiliate marketing. In this post we will cover the potential from affiliate marketing, the 5 ways to present an affiliate offer, and the key ingredient that must be in place to transcend your affiliate marketing success. What is the Potential For Affiliate Marketing? Affiliate marketing is by no means a way to earn passive income. Sitting back on the beach and magically making money without any input into your endeavors is not going to bring you long term success. Your long term potential for affiliate marketing is very rewarding (It’s a top 10 online business!) when you present an affiliate offer the right way and build a quality relationship with your audience. It’s really important that however you decide to approach this business model, you do it right because otherwise you won’t be getting the clicks you need to support yourself as an affiliate marketer. The goal is to earn money through affiliate marketing, but in order to do that, there’s something much more important you have to get on board with. And that is offering value. Customers are already looking for products. As an affiliate marketer, your job is to help them pick the best product out of many products that will bring them the most significant benefit to their lives. They have to ultimately decide, but by offering as much value as you can, they can be confident they’re making the right purchasing choice and you can become a trusted advisor for their purchasing needs. Your affiliate marketing goal is to help consumers make the best buying decision and remove all hindrances to them thinking that this is the exact product I need to solve my problem. I’m going to show you the missing link that will skyrocket your affiliate marketing potential but lets first go through the 5 ways to present an affiliate offer. You’re ready for affiliate marketing success, ready to learn how to build your affiliate funnels or find the best affiliate programs that’ll earn you the most cash. There’s different strategies for successful affiliate marketing out there, personally, I’ve tried them all. But not all are as good as the others and some strategies, even though they can be done aren’t worth your time, even if the gurus are trying to sell you the how to’s for them. I’m leaning more towards just one of these methods, and I’ll tell you more about it in a minute. Real quick, let me talk about the 5 strategies of successful affiliate marketing and if they’re really worth the hype. Not to burst your bubbles or anything but…. Reason number one, you have ONE chance to make a sale. You aren’t growing an email list through this strategy and you have no means of dating your potential customers and subscribers. You can present your affiliate offers through paid advertisement but you have no customer lifetime value to improve on the back end. One sale, that’s it. No follow-ups or anything because you don’t hold their email address. Big reason number two, paid ads are a bit like a lottery ticket. It’s either you make it or you don’t. There's a few people who have made good money with this strategy and now they're selling the how to of this method… But here's the thing. If you were able to turn one dollar into 10 dollars, day in and day out, would you ever shift and start selling the method or would you just keep putting your dollars in and getting $10 out? Those individuals make more money and a more consistent income selling you the how to information than they do actually operating the methods. Pretty shady stuff right there. But it made the list because it’s honest. You just have to make sure you read the terms of service since not all platforms allow you to run paid ads on their website and direct link people over to the affiliate product. I’m talking direct posts on social media - Facebook, Instagram, Pinterest, what have you..
I’ve tested this methodology and I have to admit that it's a little bit out into the wild. After trying it out, I can say with conviction that it doesn’t work very well because a lot of social platforms won’t allow you to post direct affiliate links. Recently, Pinterest changed their terms of service to allow affiliate links directly inside of the rich pins, specifically Amazon affiliate links but again, others will not because of their TOS. So long story short, I don’t personally love this methodology and it’s hard to blend that one key, one trick that’s proven to be super powerful for affiliate marketing success. But at the same time, social media plays a solid role inside of your affiliate marketing business that’s why this method made its way onto this list. Advertorial is when advertisement and editorial have a baby. Lol. It’s labeled as “advertisement” up top but reads like an article. These can work really well, and if you are going to move forward with paid advertisements or social media marketing, I recommend you at least link people over to an advertorial, a review or content piece. Your advertorial is a landing page or presale page where you can control the retargeting pixel for the advertorial and retarget people who read through it. It’s a bit of an old school direct response marketing approach combining advertisement and an editorial to catch people’s attention and to engage them. This isn’t my favorite, but it is a decent way to present your affiliate offers. Your bridge page is the Thank You page of your affiliate marketing funnel. You start with a great opt-in page that’ll entice your audience to enter in their email address in exchange for the free item you’re giving away, (your high converting lead magnet). After they opt-in, the second page of your funnel is a thank you page, or bridge page. This is where you can add in your offer, bridge them from your site to the affiliate offer. In the case of affiliate marketing, this bridge page will be your first opportunity to promote an affiliate product to the user. Put your copywriting skills to work and tell your audience how that affiliate product can solve THE problem they’re having. If your not 100% sure on what type of affiliate product to offer, you need to do more digging to determine what your audience wants. Run an ad to your optin page, share your optin on social media, use your optin page to your lead magnet in your content marketing strategy. Once they click on the button to accept your offer, it will take them over to the affiliate product sales page and you have just planted an affiliate cookie and boom, you are on the road to earning commissions. This is especially powerful when you implement the cheap and least risky minimum viable funnel because it builds your email list fast which is the 5th and most successful way to present an affiliate offer. Saving the best for last and by far my favorite way to present affiliate offers is directly in an email or in an email I have linked to a presale page. Either way, the email that hits their inbox is how I'm actually communicating the thing that is going to solve their problem or help them achieve their goals. 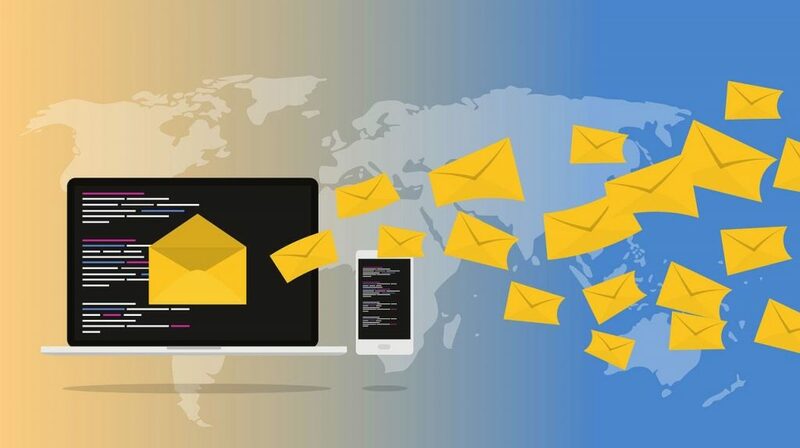 Email-based communication is THE distribution channel you own that connects you directly with your leads and customers. With an email list, you’re getting more than one chance to make a sale. You’re not in a lottery thing, you’re not in some weird social media thing with unclear and ever-changing set of TOS that you need to abide to otherwise you blow your chances completely. Building and nurturing your email list gives you one, two, three, endless attempts to offer and sell products as an affiliate. 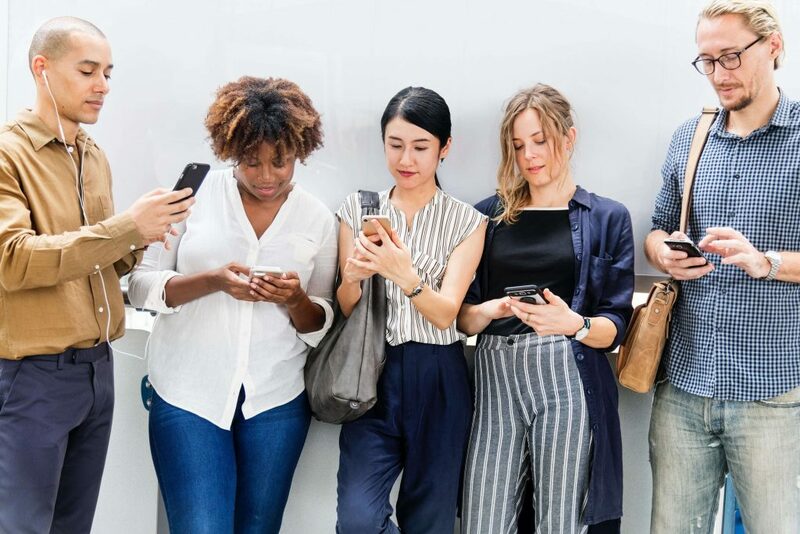 We’re no longer in the information age but rather the attention age of online marketing which requires you to build a relationship with your audience to establish know, like and trust. People are more willing and more receptive to taking action on recommendations that show up in their email inbox than they are on just random blog posts, random advertisements, random social media posts. That’s what it did for me when I launched my affiliate offer... Three days after that one launch and I made $30,000! Another affiliate offer I did earned me between 15-20 grand in just five days. It's because I really had the attention of the user in the email. It's also because I had send lots and lots and lots of helpful emails before I ever made that pitch. Don’t try to sell something right out the gates, build a relationship with your subscribers, offer helpful tips and pieces of information first. Give, give, give, give some more and then ask, your income is tied to the value you give. Building a list gives you one, two, three, endless attempts to offer and sell a product as an affiliate while at the same time growing and nurturing your relationship with your audience. Your email list will effectively boost your marketing success. How can I become an effective affiliate marketer? Storytelling is the missing link between those individuals between side money with affiliate marketing and legit affiliate marketing success. Two people could have the exact same amount of traffic, the exact same email list size. But the real difference is the connection you make with your audience and by being able to capture your customer’s attention and hold their attention through storytelling. There’s a great tv show you love watching and you even wait for the new episodes to come out. Why? Because the storytelling is compelling and draws you in. The creators have learned a framework to use and it's the same framework used in every one of those seasons. Think about the implications of that when you’re still watching, six, seven, eight seasons later. Yes, there are great tv series that go from problem to solution within the episode, but the ones you’re dying to see are written a bit differently. It's incredible at what happens when you tell the story the right way. It draws people in just like those TV shows do. Just like when somebody goes down that Breaking Bad rabbit or Game of Thrones rabbit hole, they're gone. Everything fades away for the duration of that story because it's built on the story powered marketing framework. Andre Chaperon is one of the smartest email marketers in the world and hired a Hollywood script consultant to become an even better email marketer and together they crafted the story framework for internet marketers. My wife and I learned Andre’s methodology of telling stories and we began to incorporate it into everything. It not only grabs and holds the attention of our audience, but it allows us to be real. To be able to really connect with the people we’re talking to because we’re willing to be our authentic selves. Whether you're doing this in an advertisement, a presale page, or your email autoresponder sequence, the content aspect is very important. 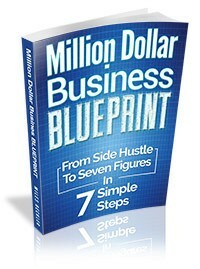 This is the key to real income as an affiliate! Before I learned storytelling framework, we were already doing the social media marketing, email marketing and content marketing…. But we weren’t telling stories and were only getting okay results. It is only when we started telling our stories that our income practically doubled overnight! It doesn't matter which one of those five methods of delivering the link you use. The way you tell your story is the secret sauce. When I put together a series of emails that told a story about a video sales letter that my wife and I created with a list of only 3,500 subscribers, I generated over $30,000 of profit in my bank account within three or four day window, because of this framework. My best ads on facebook that I'm still running today use this framework of storytelling. With almost 2 million views, tens of thousands of engaged people and hundreds of thousands of leads coming from it, it has revolutionized my business. How do you become the Yoda of storytelling for your multi-million dollar affiliate marketing business?? -Go get yourself some story training where you can uncover everything you need to know to master storytelling! -Practice. Start to incorporate stories in every email you write, into every blog post that you write... Just practice the art of telling stories. You'll start as an average at best storyteller and then you'll get a little better and a little better and a little better. Try the 90-day challenge. Write a story everyday for 90 days. Flex that storytelling, story writing muscle and you’ll build up strength in that area. I’ve shared with you the five ways to present your affiliate offer. And now you know the key ingredient to all those strategies that can literally change your affiliate marketing business game in a just a few days and give you a boatload of money through powerful storytelling…. When you become a great a storyteller, everything in your business starts to work that much easier, and its more fun! Your affiliate offer presentation method mixed with effective storytelling is the 1, 2, punch combination to explode your affiliate marketing success. If ever you have any question, you want more tips, or you just have insights to share or anything at all, hit me up in the comments. Let’s connect and I look forward to reading and responding to your comments soon!